LMAX Exchange Group, one of the UK’s fastest growing technology companies and the leading advocate of enhanced transparency and fairness in FX trading, welcomes MiFID II. To meet the regulatory changes under MiFID II, aimed at improving transparency in financial markets, the company has completed the transition of its MTF and Broker businesses into two distinct FCA regulated entities: LMAX Exchange and LMAX Global, both now part of the LMAX Exchange Group. Under MiFID II, MTF and broker businesses must be operated as two distinct legal entities as an MTF operator is not allowed to execute client orders against proprietary capital or to engage in matched principal trading on its own MTF. 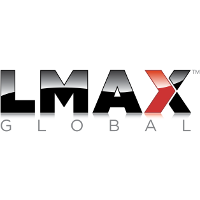 In accordance with the regulatory changes, LMAX Exchange Group has successfully transitioned the part of its business that serves brokers, money managers and non-institutional accounts to a new FCA regulated broker called LMAX Global, which offers clients global access to LMAX Exchange firm liquidity and unparalleled exchange quality execution. There are no changes to the customer experience, with account numbers, trading access and charges remaining exactly the same. LMAX Exchange will continue to operate as an FCA regulated MTF serving institutional clients trading spot FX, precious metals and indices. Clients of LMAX Global and LMAX Exchange will continue to have the same direct access to all LMAX Exchange markets globally, streaming no ‘last look’ liquidity and precise, consistent exchange quality execution within a regulated, rules-based trading environment.